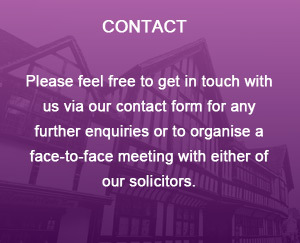 Welcome to The Worcester Family Law Practice website. At the Worcester Family Law Practice, we understand that issues surrounding a family breakdown can be emotionally complex, which no amount of life experience can prepare you for. We are able to offer you an objective professional perspective that can shed light on your situation and assist you in the first step towards resolution. When you are facing the hardship of separation and divorce, we can help you find clarity through the difficult times ahead. When there are children to consider the hardship can be compounded as you seek to look to their needs and resolve the children’s living arrangements. We are here to help you make sense of how you can reach a settlement by guiding you from beginning to end, offering compassionate support as well as being your legal advisors. With an empathetic approach to practical resolutions of family conflict, we believe that honesty and transparency is key in developing a trusting relationship with you as our client. We will remain open and honest about potential outcomes and keep your feet on the ground with realistic expectations. But, most importantly of all, we will stand beside you and provide you with the necessary tools to embark on the next chapter of your life. As members of Resolution , we advocate a non-confrontational approach to family disputes. We are also trained in Collaborative Law, which provides an alternative to the traditional route when couples are unable to reach an agreement and their fate is left in the hands of the Family Courts. With Collaborative Law, both you and your former partner, together with your own collaboratively trained solicitors, work together in the same room to reach the best solution for you and your family. Solicitors are contractually committed to not going to court, allowing us to provide an environment that encourages discussion and compromise. With all parties committed to resolving the issues without the prospect of Court Proceedings, you are both in control. However, with this in mind, Collaborative Law does not suit every situation and each individual case is unique and requires careful consideration for the best course of action. 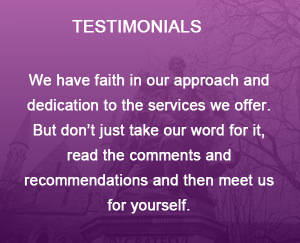 We will represent you in the way that you need us to, and we will work with you, advising you along the way, and listening to your emotional needs as well as your legal ones. With over 30 years experience in Family Law between us, we are confident that if you work with us, we can give you the support that you need to see things through to an amicable and dignified solution.